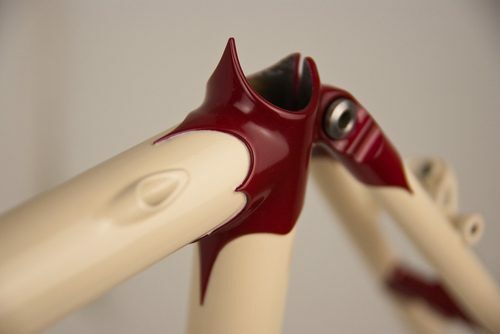 When I was in Richmond at the NAHBS, hanging out in IF‘s booth, someone said “There are no framebuilders in the South. I quickly spoke up and referenced Bishop Bikes out of Baltimore (yes, Bmore is the South). The guy quickly said something along the lines of “track bikes don’t count”. Ouch! Well, this goes to show that Bishop can really craft some beautiful bikes, including Tourers. Here’s a shot from a recently completed Tourer / Commuter for a customer. I love fastback seatclamps. Check out the rest of the detail shots here.